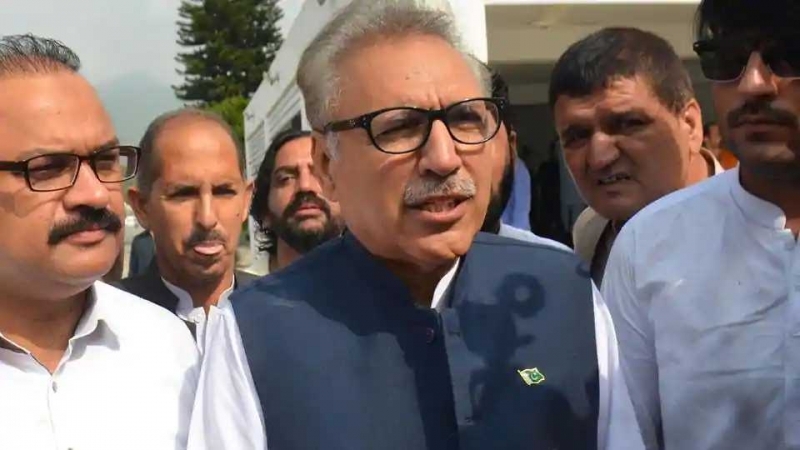 Pakistan’s new President Arif Alvi was sworn in at a ceremony in Islamabad yesterday, concluding the country’s peaceful transfer of power to its new government after a turbulent election campaign. His appointment further cements the ruling party’s power after controversial polls in July -- which were tainted by claims of military meddling and ballot rigging -- saw former cricket champion Imran Khan elected prime minister. A former dentist, Alvi has been a key confidante of Imran Khan on both party and national issues. He served as the PTI’s secretary general for eight years from 2006, and was elected an MP in the southern megacity of Karachi in 2013, winning re-election in the July vote. A father of four and enthusiastic Twitter user, Alvi was shot and wounded during a protest against military dictator Ayub Khan in Lahore in 1969. He still has a bullet embedded in his right arm.